On May 29, through proclamation Johnson granted amnesty to confederate soldiers who take a loyalty oath. Purchased Alaska from Russia for $7.2 million. Known as "Seward's Folly." 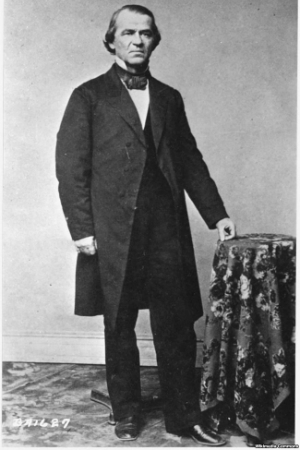 On February 21, Johnson fired Secretary of War Edwin Stanton in violation of the Tenure of Office Act. Stanton refused and barricaded himself in his cabinet office of two months. 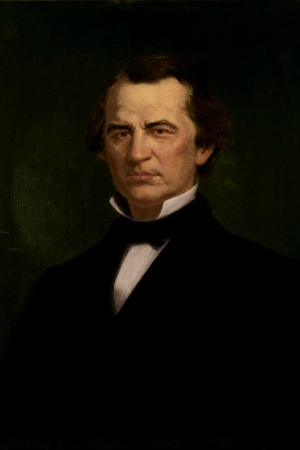 Johnson impeached by the House of Representatives on February 24 for violating the Tenure of Office Act. The Senate trial ended on May 26 with an acquittal of all charges. A rich biography on this North Carolina native. Tourist information on this Greeneville, Tennessee site that includes the visitor center, homestead, and cemetery. Provided by the National Park Service. Located at Tusculum University in Greeneville, TN. Exhibits include artifacts from the Johnson family and Johnson's personal library. 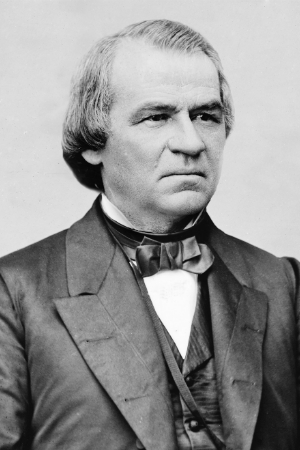 Johnson was the first president impeached by the House of Representatives. Johnson never attended school. He taught himself to read. 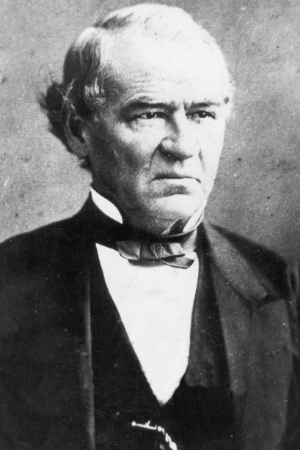 Johnson was the only former president to serve in the U.S. Senate.